Reveal, a new work, framed and mounted in a shadowbox. i just came over here from helen hiebert’s blog and am swept away by the work. 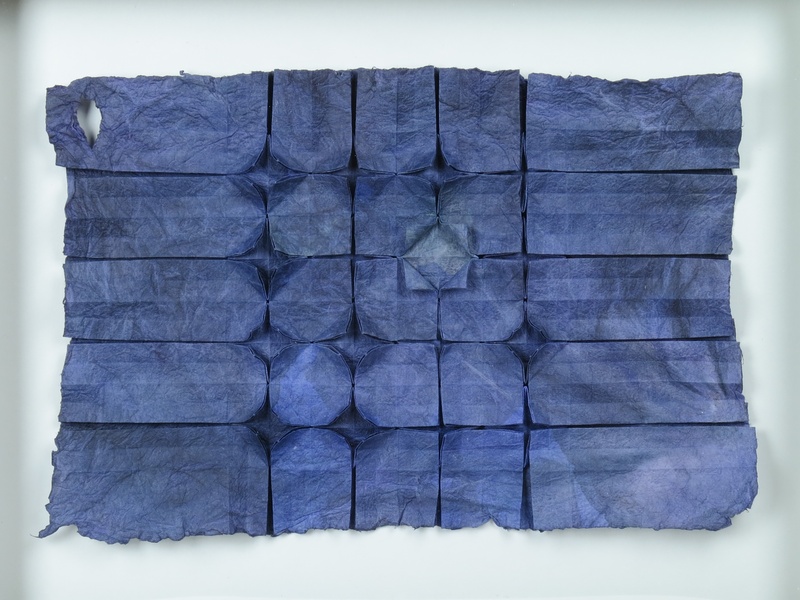 wonderful stuff, and this indigo piece Reveal is particularly fine. thank you for a wonderful paper wander! I find your work absolutely amazing. Your ability to fold such intricate designs without obvious flaws astounds me.